This round silver metallic dog collar charm has an acrylic flower in the center. Each flower is embellished with a crystal gem. This round silver metallic dog collar charm is a quality piece and perfect for spring or summer for your pet. There is a spring clasp for attaching to your pets collar. 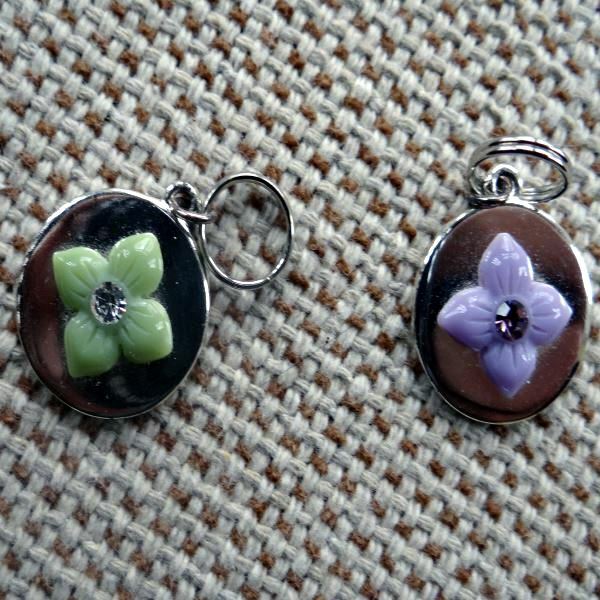 The charm measures 3/4".